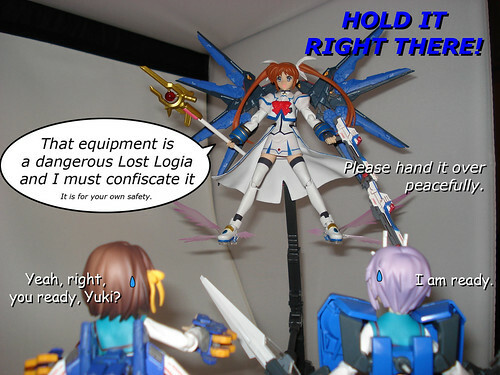 Published on March 5, 2009 in figma, Gunpla, Modifications and Photo Box. 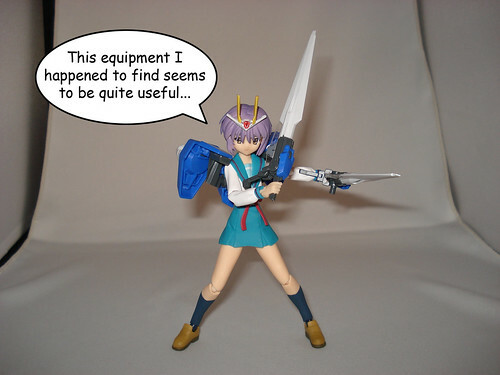 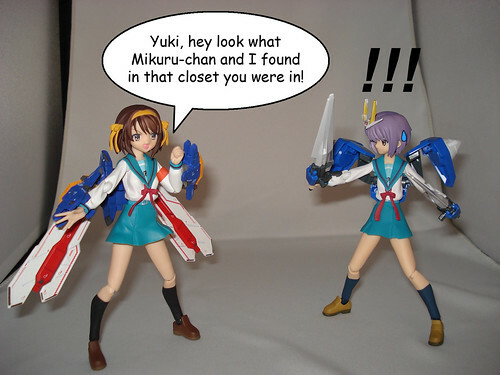 2 Comments Tags: 00_yuki, figma, god_haruhi, Gunpla, nobel_mikuru, strike_freedom_nanoha. 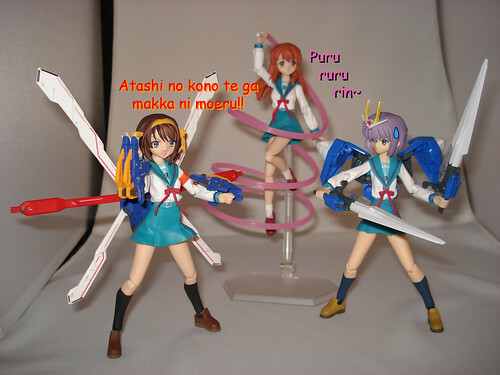 Man, I really need to get me some mechas just for this purpose, they look so cool with Figma.